Hello!!!! these are really nice pics….and I love VBS too….and you have a nice blog too…..
Marsha, thank you so much! You are welcome. 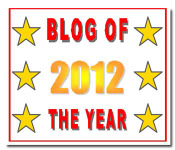 It’s so much fun to read your blog. I’m so glad you stopped to “smell the roses!” I love these photos. I’m going to go look at them again and pin some of them onto my Pinterest! Thanks! I was just going to tell you that I’ve nominated your for the Lovely Blog Award, and now I see that someone else gave you the Inspiring Blog Award as well :-). You’re a popular gal! Maggie, thank you so much! I’m very appreciative.